Some 9 percent of Costa Rica’s population smokes on a daily basis, meaning some 300,000 people here can be considered regular smokers. That is one of the main findings from the most recent Global Adult Tobacco Survey (GATS) of Costa Rica, a survey conducted jointly by the World Health Organization and the U.S. Centers for Disease Control and Prevention. Public Health Ministry officials last week released some of the main results of the global investigation, which for the first time, included Costa Rica in 2015. Nydia Amador, who coordinates the ministry’s Tobacco Control Program, said the findings will be used to improve anti-smoking policies and strategies in the country. “These results also will be vital to all campaigns and public awareness efforts against the tobacco epidemic,” she said. 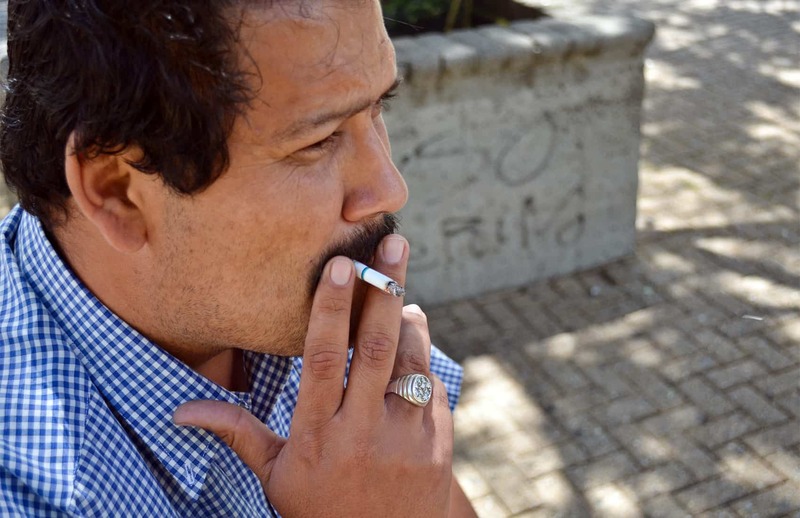 The research found that smoking is more common among Costa Rican men, who at 13.4 percent triple the 4.4 percent of women who admitted to smoking every day. In comparison, although more men than women smoke in most U.S. states, the percentage of smokers among each gender is much closer than among the genders in Costa Rica. The smoking habits of Ticos vary by age. The highest prevalence of smokers was found among people age 45-64, representing 10.4 percent of this age group. Among people age 25-34, 9.8 percent smoke and among those 15-24, 7.2 percent smoke. The study also found that more people smoke in urban areas compared to rural areas — 9.6 percent compared to 7.1 percent. Smoking in Costa Rica is an expensive habit: The survey found smokers here on average smoke 13 cigarettes a day and spend ₡19,370 ($35.60) every month. The survey found that most Tico smokers are aware of the risks of smoking. Nearly 98 percent of respondents said they knew smoking was related to serious and chronic diseases, while nearly 96 percent said they knew smoke also affected the people around them. So why don’t they quit? The study found that smokers find it “very hard” to quit the habit. Researchers also surveyed second-hand smokers. Ninety-five percent of them said they were exposed to smoke in their homes, while a nearly equal percentage said they were exposed to smoke at their workplace. Ninety-two percent cited restaurants, and 77 percent said they were exposed to smoke in bars and nightclubs. The survey followed a standard protocol in all participating countries. In Costa Rica, researchers surveyed 8,607 people over age 15. Costa Rica in 2012 approved an anti-smoking bill known as the Control of Tobacco and its Harmful Effects on Health Bill. The regulation banned smoking in places such as bars, restaurants, public buildings, bus stops and taxi stands.